Product prices and availability are accurate as of 2019-03-21 01:32:14 UTC and are subject to change. Any price and availability information displayed on http://www.amazon.com/ at the time of purchase will apply to the purchase of this product. When stored in cabinets, baking sheets can be scratched, and pans can get their lids all mixed up. 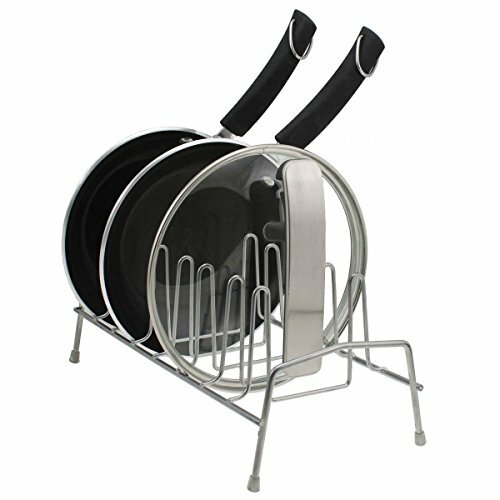 Organize your cookware with this Pan & Lid Holder rack. It holds up to 8 pans, lids, baking sheets or other large items. This rack makes for easy reach, countertop storage, or convenient drying next to the sink. It's time to rack them up.